We offer a wide variety of mobile home skirting including Lifestyle Vinyl Skirting and Rock Skirting. Our most popular product is the Lifestyle Vinyl Skirting. This comes in 16" wide X 11' 7 1/4" long sheets that are easily cut to any length you need. There are 5 different colors to pick from; White, Sand, Gray, Cameo & Clay. We keep all of these in stock and ready for your order. Just give us a call and we can give you a price for the materials you need. All we need you to do is, measure the length and width of your home and then measure all four corners from the ground up to your siding. 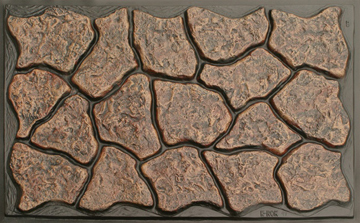 Another very popular skirting which we offer is the Rock Skirting. We offer the 8" X 16" vents, with or without the damper. Call us with the size of your home and the distance each corner is off the ground and we will give you the cost. 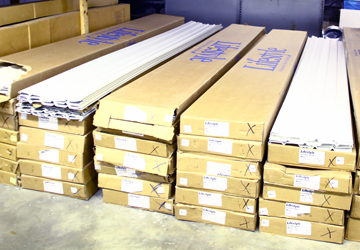 We offer a basic 4' x 8' Aluminum replacement siding which comes in White, Gray, Brown, & Cream. 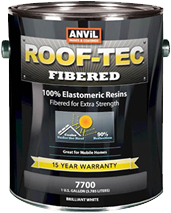 Many customers use this to replace their damaged sheets and then they paint the new sheet to match their home. Give us a call and/or come by and we will glad show you samples of each. seams for your roof, siding, etc. We also have all of the tools you will need to apply these coatings. For almost all of your projects on the exterior of your home you will find the product you need at our store, there are just to many to list. We list many of the items here and some of which may also have photos. Never hesitate to call on us with any question and we will gladly try to help you. And everything else you could possibly need! Copyright 2017–2018 Allen’s MHRV and/or P&R Photos. All Rights Reserved. Do not duplicate or redistribute in any form.